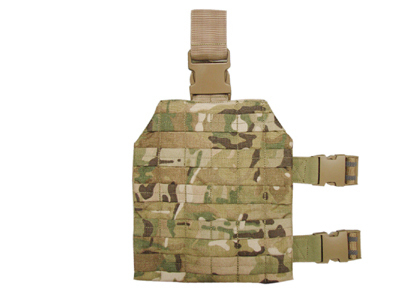 This rig features 4 rows of PALS/MOLLE compatible modular webbing strips that allow the user to configure a tactical thigh rig with exactly the right pouches they want and need for the mission at hand. 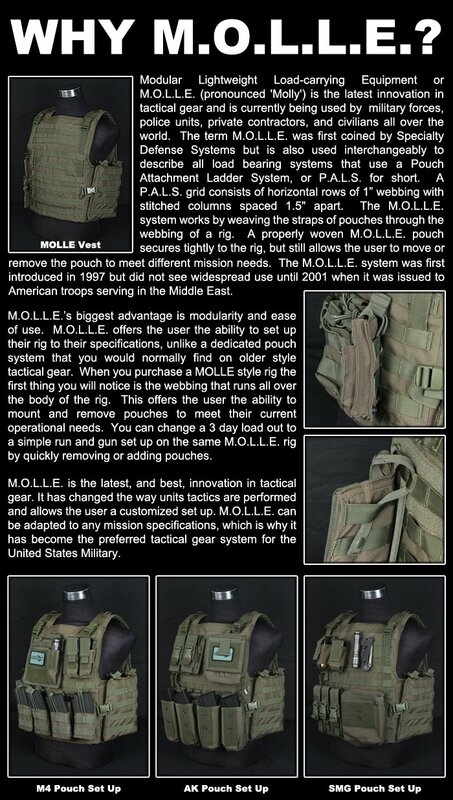 The PALS/MOLLE webbing is attached to the carrier with heavy duty bartacks applied by state of the art programmable BAS machines. This rig, as well as all of our other tactical thigh rigs, features a heavy duty 2" side release buckle attached to the vertical hanger strap which allows for rapid removal of the rig. This allows users to efficiently switch loadouts without even having to remove their belt. The fully adjustable double leg straps are made with comfortable, yet durable, 2" webbing with heavy duty side release buckle closures and heavy duty elastic loops to allow for expansion of the thigh straps during movement. The leg straps also feature 2 rows of imbedded rubber stitching on the inside to prevent shifting and movement of the rig. Both leg straps are removable as well as reversible for left handed users. Amazing thigh rig. Took me probably twenty minutes or so to get situated comfortably. I currently have this set up with twin two mag pouches, which happen to fit perfectly with a little room left over. If you are looking for a little extra capacity for mags or whatsoever, this is definitely something to look at.